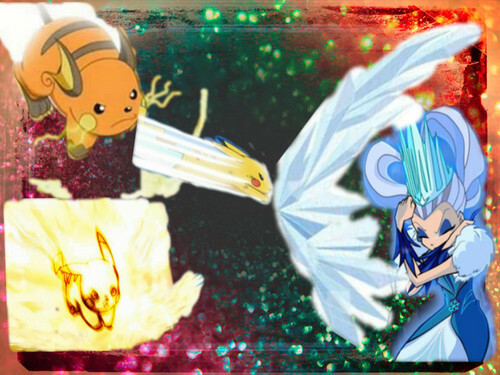 icy vs Pikachu. icy. HD Wallpaper and background images in the winx The Trix club. This winx The Trix fan art contains strauß, korsage, sträußchen, sträusslein, blumenstrauß, posy, nasegay, and corsage.